If you’ve recently attended a wedding of a friend or loved one you may have already seen a Wedding Canopy in use. Even all on its own, this small setup can instantly turn any space into an intimate wedding venue. The light, airy sheer backdrops encapsulate the bride and groom and create the perfect medium to witness the union of two people in love. Something almost magical happens to this basic framework, as the canopy simultaneously both encloses and displays the officiation ceremony and creates a focal point for all in attendance. 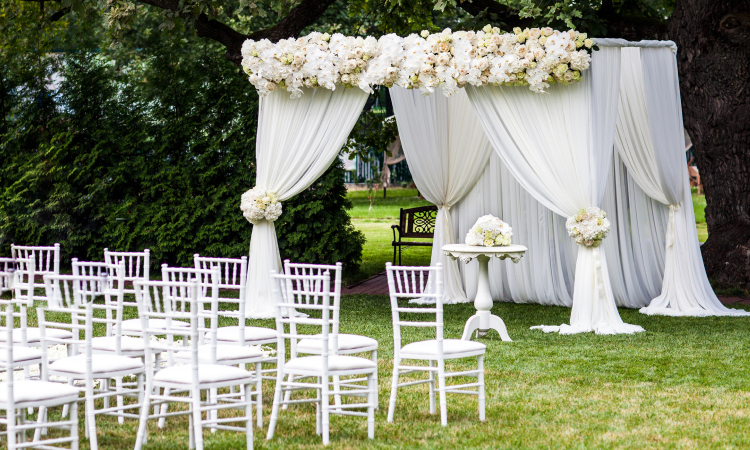 It may be of no surprise then that the wedding canopy has a long and storied history with the tradition of marriage. Although its exact origins may not be known, the bridal canopy chuppah or more traditionally “huppah” is a staple of Jewish wedding ceremony. The chuppah was originally designed to symbolize the groom’s home and the new home of the bride. Outside of the symbolism, the chuppah served a legal purpose of formally permitting the marriage to be actualized. They were traditionally made with a prayer shawl or cloth attached to four poles, with the top covered and the sides remaining open (important if following tradition) to symbolize welcoming guests into the home. Although the four-pillar canopy does not have a history of just one religion. In Hinduism, the canopy is called a mandap and is used to represent the universe with the four legs being the couples’ parents. Also, no matter the faith, more modern couples are using the wedding canopy as part of their ceremony for the symbolism involved, or simply because of the amazing aesthetics. 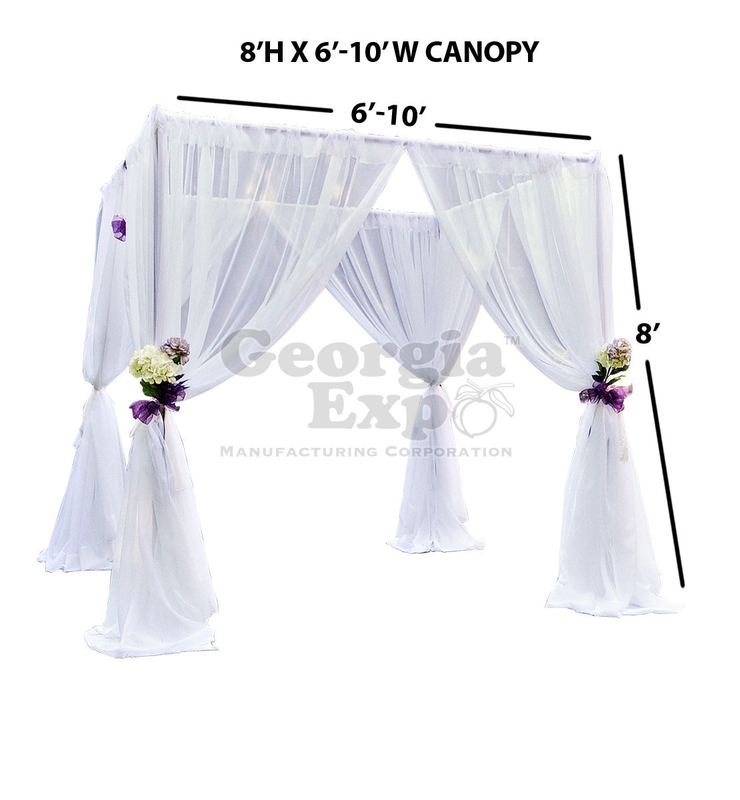 Our own wedding canopy is made of the beautiful and translucent sheer fabric (available in several colors) and comes equipped with the necessary hardware to create this intimate symbol of marriage within minutes (see the Wedding Canopy Setup video). Fully adjustable, the canopy can even be transformed into 40ft of sheer backwall. So as a rental agency or do-it-yourselfer, we highly recommend this one product as a staple for your next wedding event. ← Are You Ready for This Year’s Wedding Season?